THE SCRIPTURE. We believe the Scripture of the Old and New Testaments to be verbally inspired Word of God, complete and wholly without error in its original manuscripts. 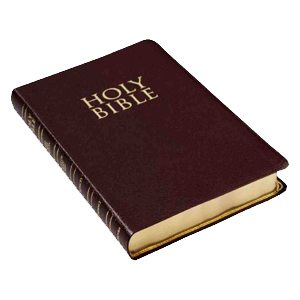 Also known as the Bible, it is God's complete revelation for our day, and is our absolute authority for Christian belief and behaviour. THE GODHEAD. We believe in the Trinity of the Godhead, the truth that one God exists in three persons, united and equal in essence, though somehow distinct in personality and function. The persons of the Godhead are generally designated in Scripture as Father, Son and Holy Spirit. JESUS CHRIST. We believe that the Lord Jesus Christ, eternally existing with the Father, took upon Himself humanity by being miraculously conceived of the Holy Spirit in the womb of the virgin Mary, thus being born into the world as the unique God-Man. He lived a sinless life, fulfilled all the Law, died a substitutionary death on behalf of sinners, rose bodily from the dead and ascended back to the Father's right hand to intercede for His own. THE HOLY SPIRIT. We believe in the many faceted ministry of the Holy Spirit, the Third Person of the Godhead, by whom believers are called, regenerated, baptized into the Body of Christ, indwelt, sealed, led, assured sonship and empowered for service. CREATION. We believe in God's direct creation of the universe, without the use of pre-existent material, and apart from any process of evolution whatever, according to the Genesis account. MAN. We believe that man was created in the image of God with a positive but untested righteousness; that being tested, Adam the first man fell from this state, with the result that all men are now sinners both by nature and personal choice, totally unable to please God or have fellowship with Him apart from the grace extended through salvation. ELECTION. We believe that those who are saved by God's grace have been chosen by God in eternity past with no view whatever to any foreseen merit in them. We do not accept the logical converse, that God thereby chooses and determines the remainder of men for damnation; rather, that He sovereignly determines to overrule the resistance of some rebels against Him, winning them by His grace, while allowing others to continue their self-determined rebellion or indifference to its obvious end. SALVATION. We believe salvation to be the Christian's release from the penalty, the power, and (ultimately) the presence of sin with all its consequences. Salvation is both the present possession and future hope of all who through faith alone in the Person and Work of Christ have received Him as Lord and Saviour. It is wholly of God's mercies, apart from human merit or worth. When truly experienced, however, salvation will be progressively demonstrated by outward works consistent with such an inward change. ETERNAL LIFE. We believe that all who are truly saved, being born of the Spirit, will be kept from falling utterly away; that they are kept by the power of God through faith unto (final) salvation, and will therefore persevere unto the end. THE CHURCH, CHRIST'S BODY. We believe in the spiritual and (now) invisible Body of Christ called the Church, into which each New Testament believer is "baptised" by the Holy Spirit. The Church is also known as Christ's Bride, to be wedded to Him following her completion, cleansing and removal from this world. THE LOCAL CHURCH. We believe the individual church is to be localized manifestation of the Church, which is His Body. It is a body of baptised believers, deliberately organized for the carrying out of Christ's commands and purpose for this day. Its duties and privileges include evangelism, discipleship and worship. These it accomplishes through regular practice of teaching, preaching and administration of the ordinances, as well as the regular walk of its members in the community. THE ORDINANCES. We believe there are two Biblical ordinances to be administered under the stewardship of the local church. The first being Baptism, which we understand as the immersion in water of a believer to show forth in a solemn emblem his personal faith in the crucified, buried and risen Saviour, as well as his own death to sin and resurrection to new life. Such a baptism is a prerequisite to local church membership. The second ordinance is the Lord's Supper, a memorial service of the assembled body in which baptised believers partake of broken bread and the fruit of the vine as symbols and reminders of the body and blood of the Lord Jesus Christ. SOUL LIBERTY. We believe that every Christian is a believer-priest, able and responsible to approach and have direct dealings with his God. This liberty, however, in no way negates or reduces his responsibility to relate corporately to other believers, and to faithfully minister as a member of the Body. believe that the Christian is called to lead a pure life a service and testimony as a response of love and devotion to Jesus Christ. He does this under the enablement of the Holy Spirit, and according to the instructions of God's Word. SPIRIT BEINGS. We believe in the actual, personal existence of angel spirits, both holy and fallen, and in the personal existence of Satan, once, himself a chief angel, also known as the Devil, the Evil One and Lucifer. FUTURE OF THE CHURCH. We believe in the imminent return of Christ for His Bride, commonly called the Rapture of the Church. At her removal, we believe she will be judged and fitted for her 'wedding'. At Christ's second coming to earth, she is seen as returning with Him to participate in His Kingdom rule, then to inhabit the New Jerusalem for all eternity. FUTURE OF ISRAEL. We believe in the literal fulfillment of the prophecies of a seven-year Tribulation, to come upon the earth as a direct judgement from God in the latter days. Following this, we believe the second coming of Christ will mark the climax of this judgement-time and the beginning of our Lord's thousand-year reign over the earth. JUDGEMENT AND BLESSING ON EARTH. We believe in the literal fulfillment of the prophecies of a seven-year Tribulation, to come upon the earth as a direct judgement from God in the later days. Following this, we believe the second coming of Christ will mark the climax of this judgement time and the beginning of our Lord's thousand-year reign over the earth. JUDGEMENT OF UNBELIEVERS. We believe in the bodily resurrection and judgement of unbelievers of all ages, to take place at the Great White Throne following the millennial reign of Christ. Not having their names recorded in the Lamb's Book of Life, all are consigned to a lake of fire prepared for the Devil and his angels, there to remain forever. ETERNAL STATE OF BELIEVERS. We believe that the redeemed of all ages, having been resurrected and glorified, will be gathered into the presence of the Lord, to worship and serve the Triune God for all eternity in the New Heaven and New Earth.